Mindy Kaling and B.J. Novak are NOT writing a tell-all book about their romance, as was previously speculated. 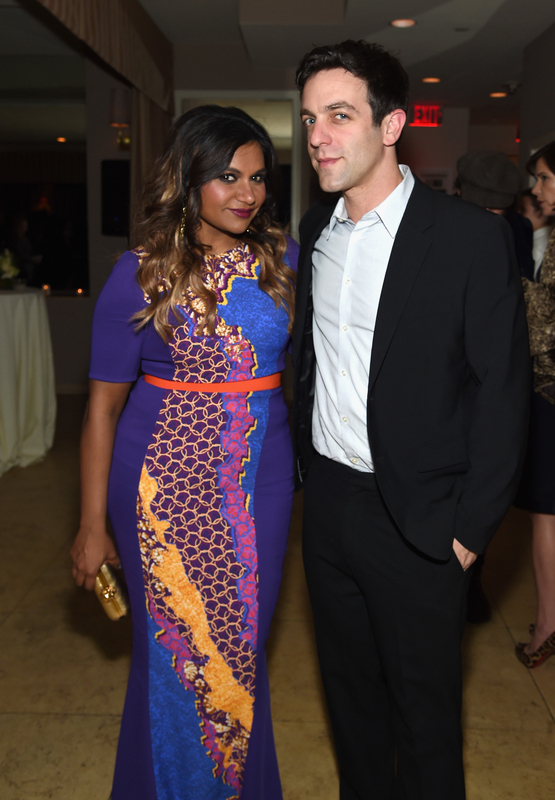 Though the two actors are indeed planning on collaborating together, Mindy Kaling and B.J. Novak's book will not focus on their relationship. However, fans of both stars might be curious what their previously relationship was exactly. Did they really date? Were things in more of a grey area? After all, just because they're not writing a book about their relationship, does not mean they didn't have a romantic connection at some point. As it turns out, the two Office alums have quite an interesting history together —and it does involve dating. Kaling and Novak did date during the time when they were filming the NBC comedy together. However, the Office romance (see what I did there?) did not work out. The pair called it quits and got back together multiple times before breaking it off and deciding to remain friends instead. But, as is always the case with exes, clear-cut definitions are not always so simple. Kaling recently described her current status with Novak as "weird as hell." She told InStyle, "He is not my boyfriend, but he is not my best friend. I guess you could describe our relationship as a 'romantically charged camaraderie with loud arguments,' but I don’t think Facebook would accept this as a new status." No one ever knew if we were together or not, including us. We weren't always on the same page on a given day or a given hour. We fought a lot. We were each other's best friends. We were inseparable and not talking to each other, often on the same day. Keeping in mind what Novak said, it would probably be hard to put an exact start or end date on their relationship. The two obviously seem to have a strong bond, but sometimes a strong bond is not enough to sustain a romance. Kaling described Novak as her "friend" in the latest update about the pair's upcoming book on her Instagram page. It looks like the book is just in the beginning stages, but regardless of what its topic turns out to be, it should be exciting! Especially if cookies are involved, as seen in the illustration she shared.